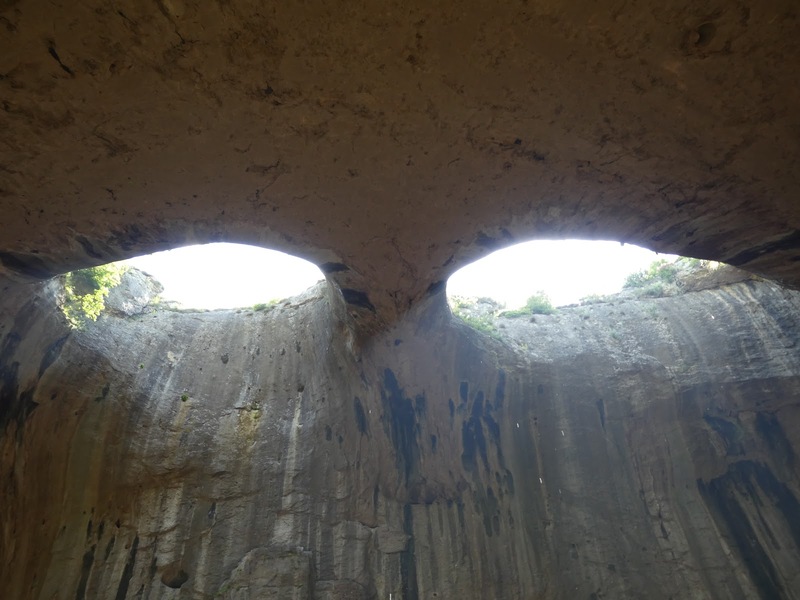 The God's Eyes (Prohodna) is a strange cave formation found in Bulgaria, which were used as a place for religious rituals from several thousand years. The thing is pretty big and still instills mystical feelings in the visitors. This one time I'm not going to talk or give explanations, because I think this is something that has to be simply seen. 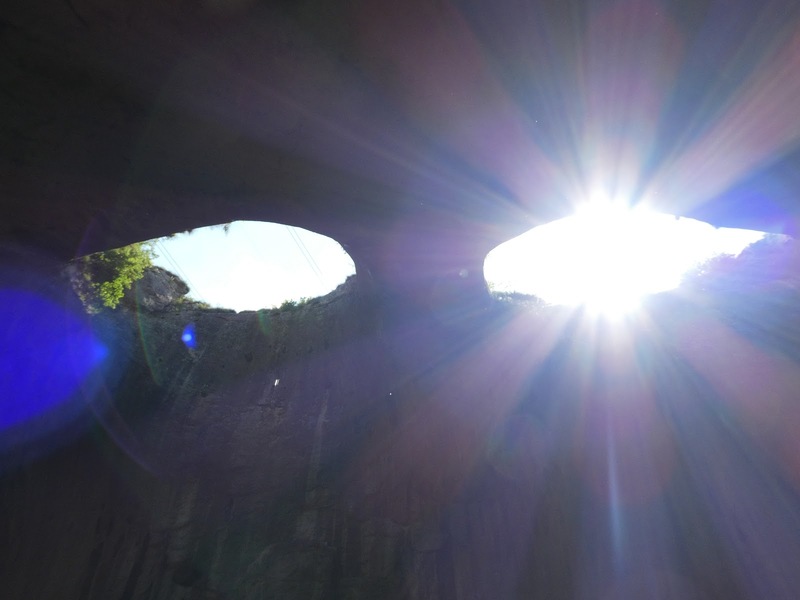 God's Eyes (Prohodna Cave) Bulgaria, with the Sun through one of the "eyes"